Our Customer Service Centre is an essential part of our services for the operation of petrol stations and their central systems. The department was established in 2009 and it’s based on many years of experience and proven practices. The key objective of this division is to ensure maximum and qualified support to our end users directly by phone and the fastest possible service by remote access. In case a site visit is necessary our objective is to gain the most accurate information for our technicians prior to their arrival to ensure any service interruption is resolved in the shortest time possible. User queries and service incidents are forwarded to our Customer Service Centre by email or phone, where they are further divided by priority. Priority is depending on the impact on the operation of the petrol station or central systems. According to this classification, incidents are handled and processed during a contractually predetermined period necessary for their resolution. All communications and final solutions of incidents are recorded into our internal central support system, which is also accessible to our customers, to monitor the status and gradual resolution of all incidents. Our services provide three independent infrastructurally connected sites, of which, two are always parallelly occupied by a team of 2-3 technicians serving 24/7. The total number of people on the shifts is more than 40 skilled technicians who regularly alternate on both telephone support and on physical installations and service visits. This way ensures a regular training for maximum qualification of technicians and their contact with the practical operation of petrol stations. Unicode Service s.r.o. was established in 2002 with the aim of ensuring the installation of cash systems at service stations with the subsequent provision of first level technical support services and on-site service throughout the Czech Republic. The central office with headquarters in Prague and a branch office in Blansko has approx. 25 employees. In addition to activities such as cash register systems and on-site service, most qualified technicians participate in the Customer Service Centre services. It also provides various HW repairs, collaborates on OPT production, and is constantly trained on new SW / HW products from Unicode Systems. 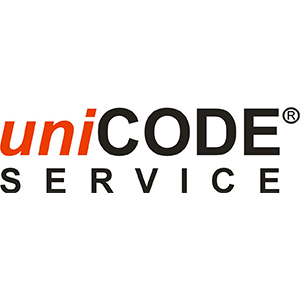 UNICODE SYSTEMS provides a Competence Service Center for all of our customers in ten European countries. We have contracted service partners in all of the countries supported, who provide the first level of user and service support in the language of the given country in a form of a call center. We have a supervisor for each of our service partners, to oversee the call center and addresses its unresolved events and serious cases. These are then passed on to the expert groups of Unicode Systems Czech Republic. Each member of our service partner team goes through a user and technical training week with a certified test and are continuously trained on new releases and system changes. Service partners have 24/7 support from the Unicode Systems Czech Republic’s 3rd level support team, which receives sophisticated issues for analyzes and solutions. It also provides hands-on experience with our system to analyze further developments. Each of our customers has a separate telephone line for event reporting.